We took a road trip over fall break, and listened to Lemoncello in the car. It was narrated by Jesse Bernstein, who also narrated the Percy Jackson and the Olympians series. Lemoncello is a fun read, very Willie Wonka-esque. 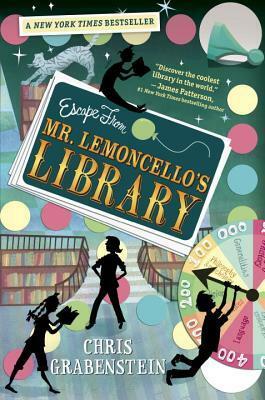 12 kids are chosen to spend the night in the brand new library, designed by game maker Mr. Lemoncello. It turns out, Mr. Lemoncello has turned the library into a giant game, and the kids are all competing against each other for the prize. Bottom line: I enjoyed it, and my boys enjoyed it. If you are a fan of Willie Wonka, you’ll like this book.